You probably spent your college years stretching your budget with various cup o' noodles. And even if your wallet is less tight and your taste buds a touch more refined today, these noodles probably still spark a touch of nostalgia. Nissin, the brand behind Cup Noodles announced they are launching Cup Noodles Rich, a variant of their famous instant noodles meant to be a more fine dining experience. Yes, we’re serious. The new flavors include “Luxury Thickness Shark Fin Soup Flavor” and “Luxury Broth Softshell Turtle Soup Flavor.” The shark fin soup will not contain actual shark fin but an imitation version made of gelatin. However, the turtle soup will include something they call Softshell Turtle Powder. 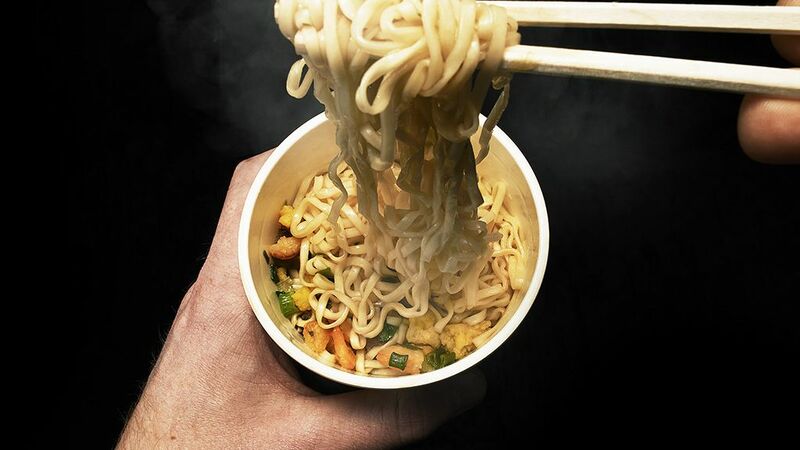 Asian Correspondent reports these new “high-end” instant noodles will be available beginning April 11and each container contains 1,000 mg of collagen, which they promise will make for a for a ‘thicker, heartier soup’. If you have a hankering for softshell turtle powder, you’ll have to wait a bit – for now, these flavors are only available in Japan.